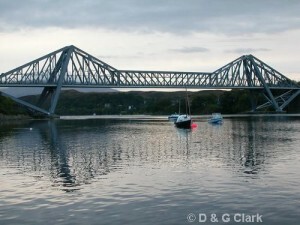 North-Argyll is one of the least known areas of the country. It stretches from the dramatic scenery of Ranoch Mohr in the North, to the beautiful Argyll coastline, to the interior rugged mountains and narrow glens around Ben More and Ben Lui. It is an area where water and mountains, wide open vistas and peaceful solitude weave a spell of the wild. Its forests and mountains offer abundant wildlife such as Red and Roe Deer, Pine Marten, Fox, Badger, Otter, Wildcat and Red Squirrel. Bird species you may see include White-tailed Sea Eagle, Golden Eagle, Hen Harriers, Pied Flycatchers, Goldeneye and Divers to name but a few. Its high mountains still provide suitable habitat for the Ptarmigan and Snow Bunting and its moors a home for Black Grouse. Although only a few roads cross North Argyll, the area is a heaven for walkers. From gentle walks along the coast or along the old drovers road at Inveroran, to the more challenging hill walks. 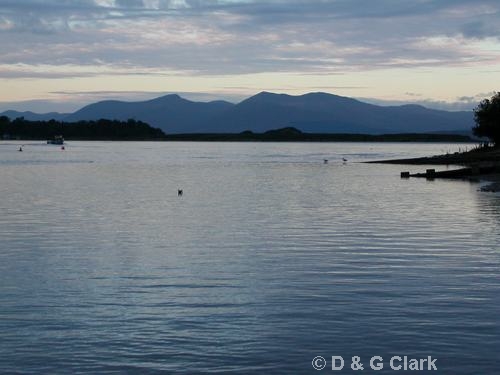 Each of them offer good wildlife and bird life viewing and an excellent way to explore this unknown part of Argyll! Habitat: Promontory at the mouth of Loch Etive and the broad sandy bay N from here. Birds of interest: Common Eider, Red-breasted Merganser, Red-throated Diver, Great Northern Diver, Oystercatcher, Ringed Plover, Red Knot, Dunlin, Sanderling, Common Redshank, Curlew, Turnstone, Common Tern, Sand Martin, Linnet, Twite. 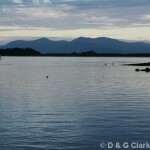 Habitat: Large enclosed sea loch with many islands. Birds of interest: Mute Swan, Greylag Goose, Greater Canada Goose, Eurasian Wigeon, Mallard, Common Eider, Common Goldeneye, Red-breasted Merganser, Goosander, Little Grebe, Great Cormorant, Grey Heron, Ringed Plover, Northern Lapwing, Eurasian Curlew, Common Gull, Common Tern, Arctic Tern, Sand Martin. Habitat: High altitude freshwater loch. Birds of interest: Eurasian Wigeon, Black-throated Diver, Greenshank, Black Grouse.